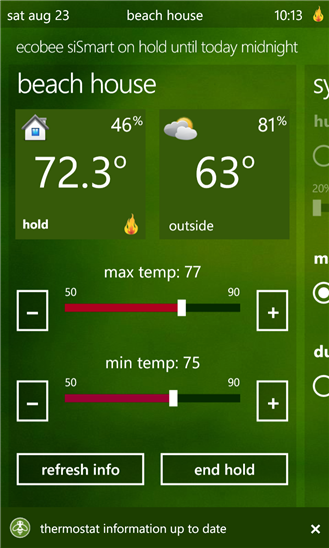 This month we released a new app to control the ecobee thermostats. It is a fairly sophisticated app that provides a lot of control for your thermostat, so you can change all the key settings anywhere you are, in a few seconds. This app is not associated with, or belongs to ecobee, Inc. This app requires a Smart Si, Smart or EMS ecobee brand thermostat. Go to www.ecobee.com for more information.